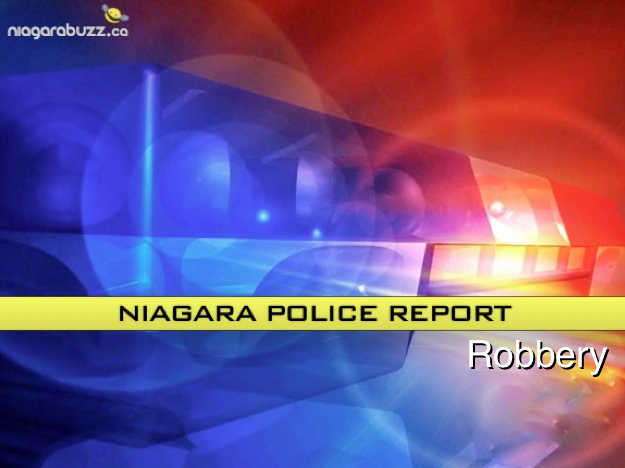 Police say, on Thursday August 20th, 2015 shortly before 8:00 p.m. a male entered the Avondale Store located at 191 Geneva Street in St. Catharines. The suspect approached the lone store clerk and brandished a weapon demanding money. The male left on foot, with an undisclosed amount of money, last seen heading north on Geneva Street. The suspect was described as white male, between 20-30 years, about 5’10 inches tall, thin build wearing a Blue Toronto Blue Jay hat, sunglasses, plain blue/black t-shirt, dark blue jeans and black shoes with white toes. The store clerk was not injured over the course of the robbery. Investigation is being conducted by members of the Niagara Regional Police Service 1 District Detective Office. Anyone with information concerning this robbery is asked to contact 905-688-4111 ext. 4307.